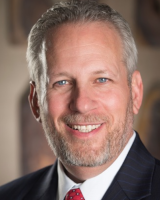 Ed Kainen is the senior and managing partner of the Las Vegas law firm Kainen Law Group, PLLC, which is an ‘AV’ rated firm and featured in the Bar Register of Preeminent Attorneys. He leads a team of five dedicated and talented family lawyers including other Board Certified Specialists and AAML Fellows. Mr. Kainen, himself, is an elected Fellow of the American Academy of Matrimonial Lawyers and the International Academy of Family Lawyers. He is a Nevada Board Certified Specialist in Family Law and is also Board Certified in Family Trial Law by the National Board of Trial Advocacy. He has achieved the highest rating available by the prestigious Martindale-Hubbell Law Directory. Mr. Kainen was the first Chair of the Nevada Board of Certified Family Law Specialists, and held that position for five years. He is currently the President of the Nevada Chapter of the American Academy of Matrimonial Lawyers. He is admitted to the practice of law in the state and federal courts of Nevada, Florida and Kansas. Mr. Kainen has taught Continuing Legal Education programs throughout the U.S. and abroad, on various aspects of Family Law, Motion Practice, Evidence, Law Practice Management, Professionalism and Ethics, as well as diverse topics in Criminal Law, Jury Trials, and Voir Dire. He has been published in the Nevada Family Law Report, Nevada Lawyer, Clark County Bar Journal, and authored the Manual for Family Court Law Clerks, still in use in the Family Court. He co-authored Nuts & Bolts of Family Law, and for twenty years coordinated and co-presented the annual statewide Continuing Legal Education program by the same name. Mr. Kainen completed two terms as the Chair of the Family Law Section (2003-2005), and was an elected member of the Family Law Section’s Executive Council (1997-2006). He has served on the Family Court Bench Bar Committee (1997-2005), was its Chair (1999-2003), and served on the Advisory Board for the Clark County Self Help Center (2000-2010). He was appointed by the Nevada Supreme Court to the Supreme Court Bench Bar Committee (2005-2008 and 2011 to present). He was a member of the Council of the American Bar Association’s Family Law Section, which is the governing body of the organization founded in 1958 and which currently has over 10,000 members. He also served as the Co-Chair of the Continuing Legal Education Committee of the Family Law Section of the American Bar Association, past Chair of the Law Practice Management Committee and has Co-Chaired the Membership and Marketing Committee. He has received special recognition for his pro bono service, including being named Pro Bono Attorney of the Year. He is also a Nevada Certified Attorney Arbitrator, a Master in the Nevada American Inns of Court and named to the peer review journal Best Lawyers in America for over 10 continuous years, being named as the Best Family Law Attorney in Las Vegas for 2013 and 2017. Since 2007, Mr. Kainen has annually been named a “Nevada Super Lawyer” and he was named one of the “Top 25″ lawyers in the State of Nevada by Las Vegas Life Magazine and repeatedly designated as one of the Top 75 lawyers in the Mountain State Region which includes Nevada, Idaho, Montana, Wyoming and Utah. Mr. Kainen also serves on several non-profit Boards, including the Board of the Children and Family Law Center at Washburn School of Law. Getting a divorce or ending a relationship can have a domino-type effect on your life. The roller coaster of emotions you are dealing with may be just the beginning. Your mind may be swirling trying to picture how every decision moving forward will affect how your future plays out. We know, we have helped thousands of people through some very difficult experiences. At Kainen Law Group, in Las Vegas, Nevada, we offer a strategic approach focused on examining the puzzle pieces of the divorce process. Putting your life back together may not be a simple solution. Many factors can complicate a divorce and other family law matters. We offer a sophisticated approach to resolve not only the key issues but also understanding the impact of divorce on your future. Based on our extensive experience, we anticipate the issues upfront to avoid future disputes or complications.